Gut discomfort includes a variety of symptoms that may negatively impact the status of well-being. Some of these symptoms are bloating, flatulence, abdominal pain, diarrhea, constipation, and borborygmi (rumbling). Common disorders associated with these symptoms include lactose intolerance and irritable bowel syndrome (IBS). Often dietary changes can help alleviate or help manage these disorders. Food intolerances are not life-threatening, but intolerance to one or more foods can be life-altering; gut discomfort can often be so painful or debilitating that individuals can find it hard to focus on day-to-day activities. In addition, having to restrict food based on intolerance can be a daily frustration. 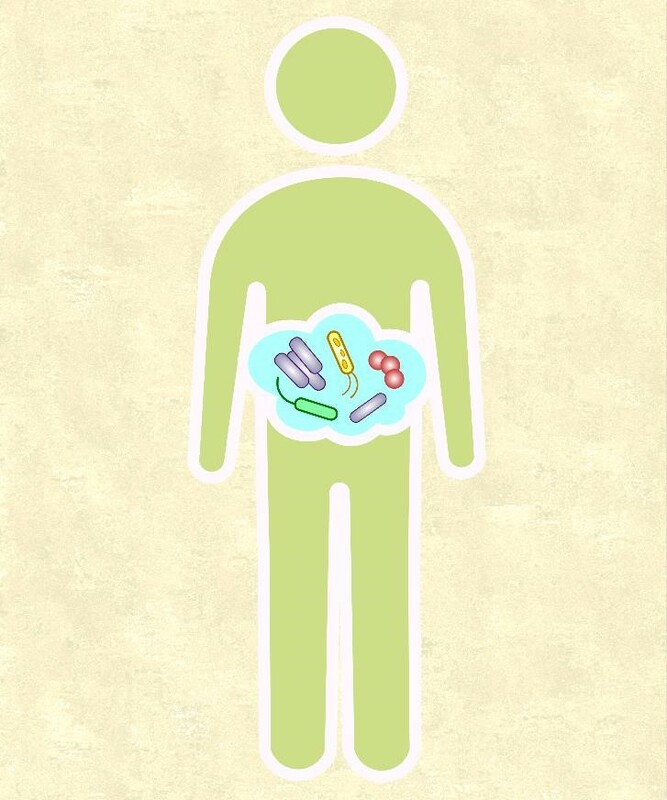 How Does the Gut Microbiome Fit Into the Picture? Assist in the fermentation of fiber; these microbes can often digest the carbohydrates that our bodies can’t digest, like fiber, and use them as an energy source. This creates by-products like fatty acids that our bodies can use. However, there are also bacteria which can live in our gut that can be harmful. One goal of digestive health is to increase the population of ‘helpful’ bacteria in our gut and reduce the population of ‘harmful’ bacteria. Evidence shows that a person’s diet influences the gut microbiome and has the potential to alter the management of diseases and conditions in which gut microbiome may have a significant role, such as obesity, cancer, cardiovascular disease, and bowel disorders. Most recently, a gut microbiome-brain connection has been identified, meaning the different populations of bacteria in our gut can even impact how our brains work (2). Foods that help create and nourish a healthy gut microbiome include prebiotics (fibers that bacteria use for energy, e.g. garlic, onions, bananas, inulin), fermentable fibers (e.g. beans, legumes, fruits, and vegetables), and fermented foods or probiotics (foods containing bacteria that survive the digestive process and take residence in our gut, e.g. yogurt, kefir, kimchi). Lactose intolerance is the inability to digest lactose, a natural sugar in dairy, and it occurs when a person has either a limited amount of lactase (enzyme that breaks down lactose) available or their lactase enzyme is not as effective as it should be. When we can’t digest and absorb lactose in the small intestine, it continues in our gut to the large intestine. There, the bacteria of our microbiome can use the lactose for fuel, creating byproducts like gas. Lactose intolerant individuals may experience gas, bloating, nausea, abdominal cramps, or diarrhea when they consume significant amounts of lactose. The current recommendation to deal with lactose intolerance is to reduce lactose intake, not exclude it entirely. Most people can tolerate at least 12 g lactose (the amount of an 8 oz glass of milk) without any symptoms or 18 g of lactose spread throughout the day (3-4). Click here to view the lactose content of common foods. Evidence suggests that probiotics may help reduce or eliminate the symptoms of lactose intolerance, specifically lactic acid bacteria that is found in yogurt, fermented milk and probiotic supplements (5-7). 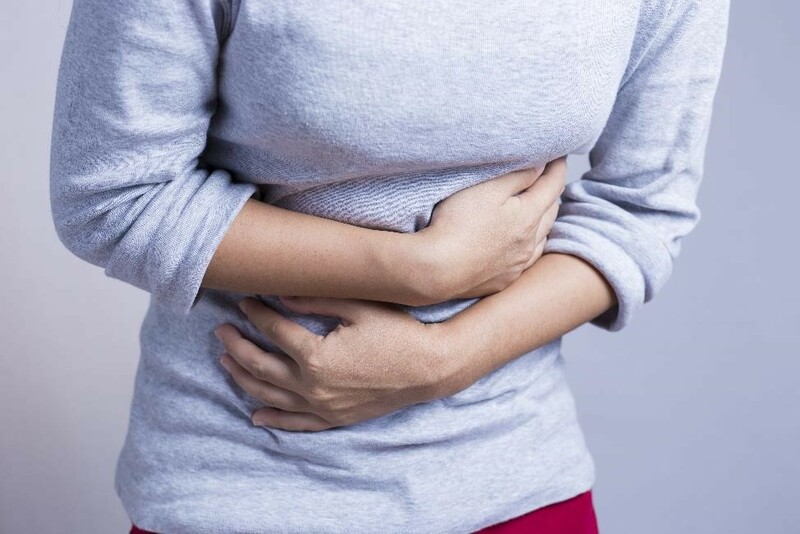 Irritable bowel syndrome (IBS) is a functional bowel disorder, which means there are no structural abnormalities in the gut or laboratory tests to diagnose the disease. The common complaints are abdominal pain, bloating, and altered bowel habits (diarrhea and constipation). Enter FODMAP. What is FODMAP? FODMAP is an acronym that stands for fermentable (F), oligosaccharides (O), disaccharides (D), monosaccharides (M), and (A), polyhydric alcohols (P) (7). The oligosaccharides include fructoligosaccharides (FOS), galactooligosaccharides (GOS), fructans, raffinose, and inulin. The disaccharides include lactose and sucrose; monosaccharides refer to fructose. The polyhydric alcohols include sorbitol, mannitol, xylitol, and maltitol. Although they sound complicated, the main message is that these carbohydrates can be fermented by bacteria in our gut, which produces by-products like gas and can create discomfort. The FODMAP diet is relatively new, with most of the literature on its efficacy occurring over the past five years. Although earlier studies brought some skepticism, current publications shed a better light on FODMAP benefits. Most of the data indicate that it reduces functional symptoms of IBS based on findings from dietitians who use the diet with patients and clients (8-9). The FODMAP diet involves two phases: elimination and reintroduction. The elimination diet, avoidance of high FODMAP foods, should be followed for 2-6 weeks. Once the person is symptom free, high FODMAP foods are added back into the diet, and tolerance is assessed. Examples of high FODMAP foods can be found in the table below. Additional information about the diet and a list of low FODMAP and high FODMAP foods can be found here. FODMAP is not free of controversy. Concerns about the diet include its potential use as a tool for diagnosing IBS, alterations of our microbiome, and possible nutrient deficiencies if followed long-term since it is a restrictive diet that excludes nutrients. For example, looking at the table below, it’s easy to see that most of the foods high in FODMAPs are healthy foods we’re typically recommended to eat more of. The fibers in these foods are also used as a fuel source by much of the healthy bacteria that live in our large intestine, meaning removing these foods could shift the population of microbes in our gut to a less healthy one. Probiotics are considered safe for persons with IBS and may provide benefits, albeit small, and should be tried one at a time for about 4 weeks. The important role of diet in digestive health is undeniable. 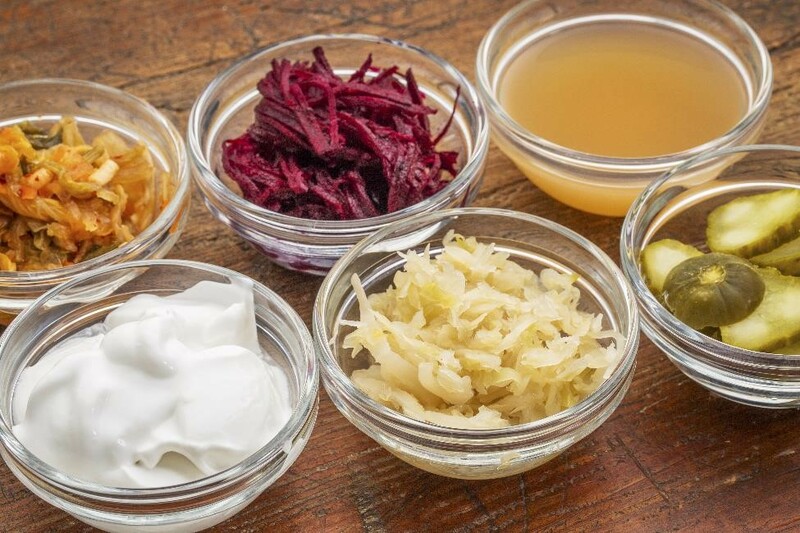 Encouraging a diet rich in prebiotics, fermentable fibers, and probiotics is important for overall gut health. Creating foods that help people manage their digestive health, such as low-FODMAP foods or low-lactose dairy products, or including pre- or probiotics in products will become more important as more consumers become aware of digestive health. In our next blog on digestive health, we’ll take a deeper dive into the consumer market and future opportunities in this space. Continue reading about digestive health with Digestive Health – Consumers Take Control. Misselwitz B, Pohl D , Fru¨hauf H , Fried M , Vavricka SR, Fox M: Lactose malabsorption and intolerance: pathogenesis, diagnosis and treatment. United Eur Gastroenter J . 2013, 1: 151–159. 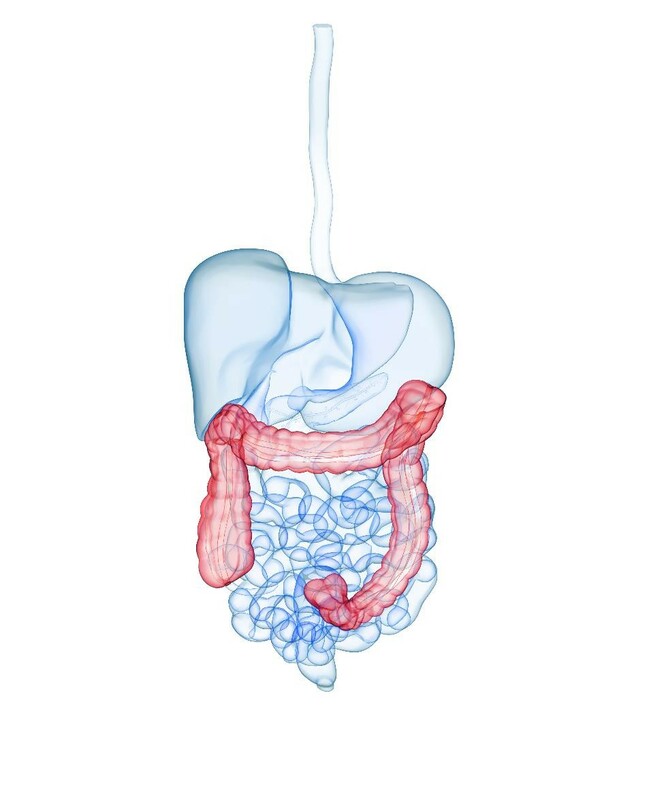 Spiller R. Irritable bowel syndrome: new insights into symptom mechanisms and advances in treatment. F1000Research. 2016, 5: 1-11. doi:10.12688/f1000research.7992.1. Mansueto P, Seidita A, Aleamo A, Carroccio A. Role of FODMAP in patients with irritable bowel syndrome. Nutr Clin Pract. 2015, 30: 665-682. Marsh A, Enid ME, Eslick GD. Does a diet low in FODMAPs reduce symptoms associated with functional gastrointestinal disorders? A comprehensive systematic review and meta-analysis. Eur J Nutr. 2016, 55:897-906. Hill P, Muir JG, Gibson PR: Controversies and Recent Developments of the Low-FODMAP Diet. Gastroenterology & Hepatology. 2017, 13: 36-45. McKenzie YA, Bowyer RK, Leach H, et al: British Dietetic Association systematic review and evidence-based practice guidelines for the dietary management of irritable bowel syndrome in adults (2016 update). J Kum Nutr Diet. 2016, 29: 549-575. doi: 10.1111/jhn.12385. Barbara Hopkins, Master of Medical Science (MMSc), RD, LD, is the Director of the Didactic Programs in Dietetics (DPD) in the Department of Nutrition at Georgia State University, Atlanta, GA. Ms. Hopkins teaches undergraduate and graduate courses in Medical Nutrition Therapy, serves on graduate student thesis and project committees, and is a preceptor in clinical nutrition at Grady Memorial Hospital for the ACEND accredited supervised practice program at Georgia State University. Barbara has over 35 years of clinical nutrition practice experience in both the acute care and critical care settings.